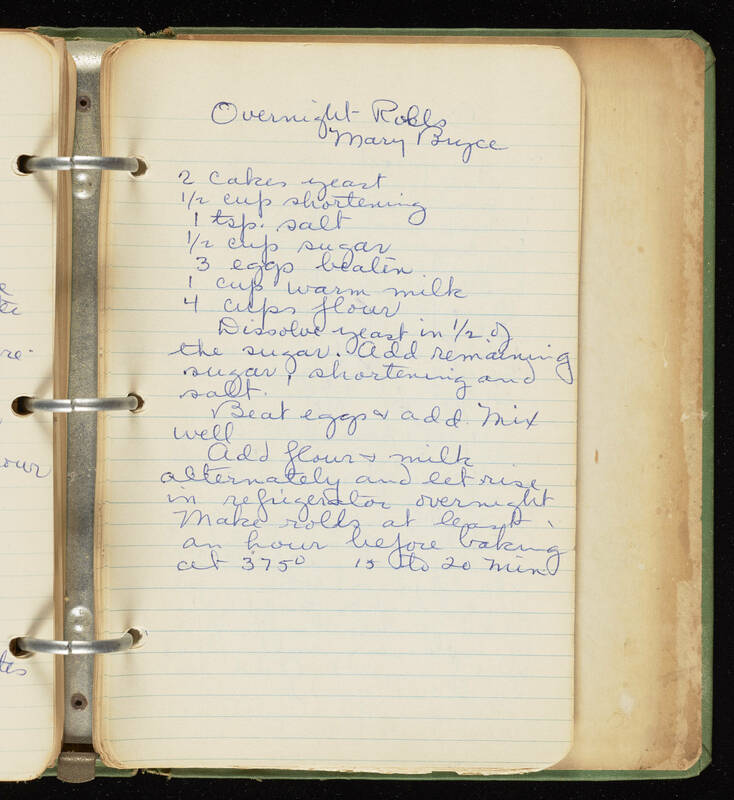 Overnight Rolls Mary Bryce 2 cakes yeast 1/2 cup shortening 1 tsp. salt 1/2 cup sugar 3 eggs beaten 1 cup warm milk 4 cups flour Dissolve yeast in 1/2 the sugar. Add remaining sugar, shortening and salt. Beat eggs & add mix well Add flour & milk alternately and let rise in refrigerator overnight Make rolls at least an hour before baking at 375° 15 to 20 min.